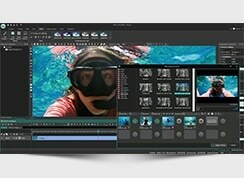 Flash-Integro LLC announces the new version of VSDC Free Video Editor 2.1.9. The update of the well-known free video editing tool brings a completely new subpixel way of handling objects in a video and allows for specifying variable paths for them to provide smoother and more flexible movement. Editing a video used to only be the area of experienced users for years, but not anymore. 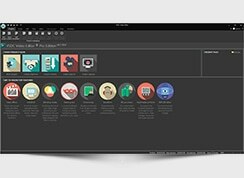 Multiple tools on the market now offer decent capabilities that have been enveloped in a user-friendly interface and simple concepts. 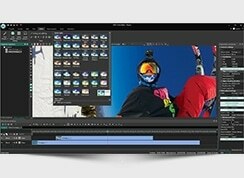 VSDC Free Video Editor is such a tool. Under the skin of a simplified home-use tool, there’s a fully functional instrument featuring many innovative approaches, such as non-linear video editing and a convenient Wizard guiding a user through the process. 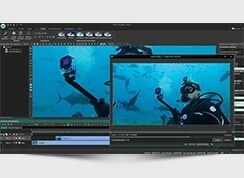 The new version of VSDC Free Video Editor offers a completely revamped video object drawing mechanism. Unlike previous versions (and many other video editing tools too), the new algorithm renders objects – pictures and video fragments – on a subpixel basis, providing an extremely high accuracy of positioning and adjustment of elements on the screen. Needless to say, the new technology promotes a smoother and more delicate interaction of scene objects. And the other new feature also supports enhanced interactivity too. 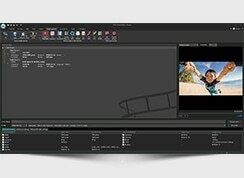 VSDC Free Video Editor now offers a more flexible and powerful way of handling the movement of objects through a scene. A user can specify complex paths, create accelerated or slowed movement, move objects linearly or instantly from one point to another. Conveniently, the program calculates the acceleration of objects automatically, which allows to set up sophisticated synchronization between multiple moving objects on the scene – an option that is hardly available in many home-level video editors. 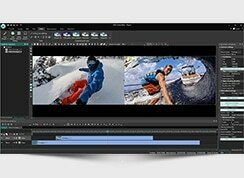 Finally, VSDC Free Video Editor introduces quality-aware exporting profiles and can support HD video output as well as files with a higher than normal frame rate.